The Egyptian Theatre in Downtown DeKalb. 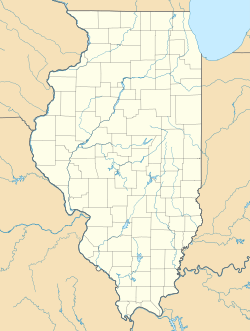 DeKalb (/dɨˈkælb/) is a city of Illinois in the United States. The population was 43,862 at the 2010 census, up from 39,018 at the 2000 census. The city is named after decorated German war hero Johann De Kalb, who died during the American Revolutionary War. ↑ "2016 U.S. Gazetteer Files". United States Census Bureau. Retrieved Jun 29, 2017. This page was last changed on 11 June 2018, at 15:46.